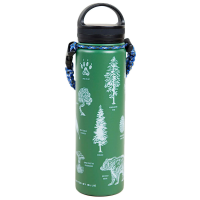 United By Blue Adventure Youth Stainless-Steel Insulated Water Bottle - 12 fl. oz. 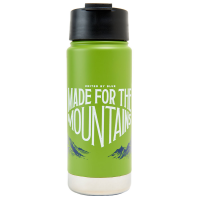 Whether stashed in a school pack or tucked in the mesh side pocket of a hiking pack, the United By Blue Adventure Youth stainless-steel water bottle holds 12 fl. oz. of liquid to quench any thirst. 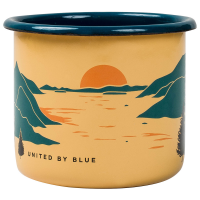 United By Blue Pack Up & Go Enamel Mug - 22 fl. oz. Campfire-, stovetop- and dishwasher-safe, the 22 fl. oz. 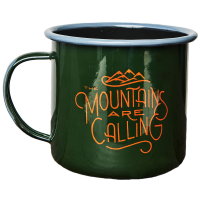 United By Blue Pack Up & Go enamel mug is hand-dipped with a double layer on the handle and rim for extra durability.